I can’t believe I’m writing this. 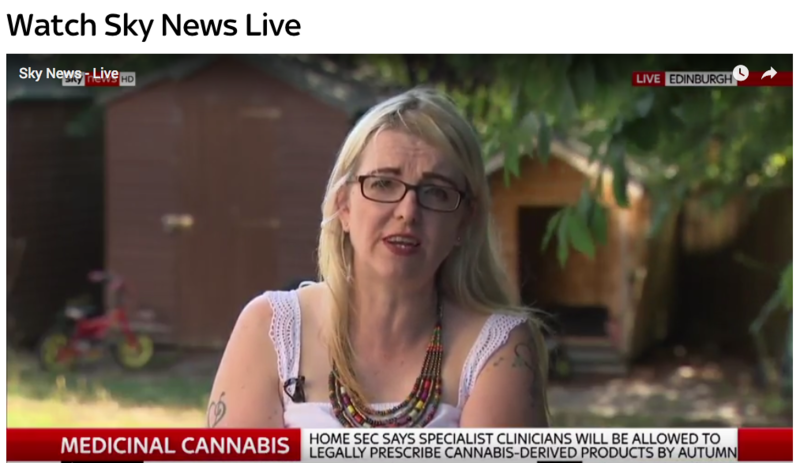 This afternoon I found out that medicinal cannabis will soon be available on the NHS, and I've just been interviewed on Sky News about the campaign. We won! I’m ecstatic. I know medicinal cannabis can help my son, and I know this will change thousands of other lives too. I’m not a campaigner, I’m a mum who was fighting to give my son Murray his life back. Murray has a rare form of epilepsy and can have up to 12 seizures a day. I knew medicinal cannabis could help and I was determined to make medicinal cannabis available on the NHS for Murray and everyone else that needs it. So I set up a petition on the 38 Degrees website. Back in March when I set up the petition, I had no idea what to expect. No idea that just a few months later I’d be writing to millions of 38 Degrees members to say "we did it!". I would like to thank everyone for their help throughout my campaign, Kevan Christie from the Evening News for first highlighting my campaign, 38 Degrees for working very hard to push this through, Alex Cole-Hamilton my MSP and Christine Jardine my MP, my husband Stuart for putting up with me constantly being on my phone campaigning! Lastly Hannah Deacon, Alfie’s Mum who inspired me to carry on fighting. 38 Degrees has no big donors or corporate sponsors. Everything we achieve together is only possible because of fivers and tenners from ordinary people like you.